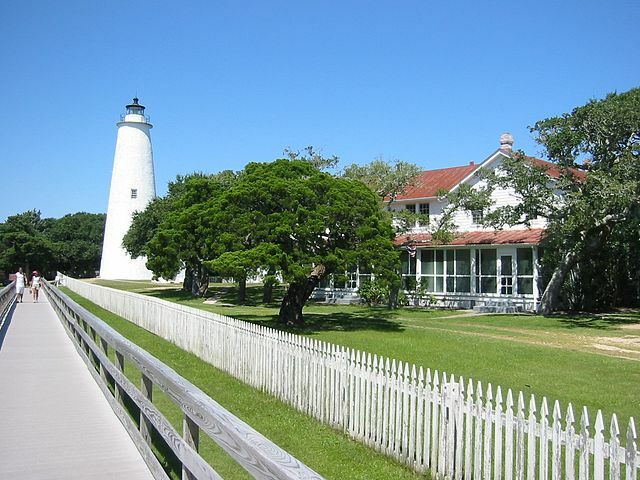 The outermost part of Cape Hatteras National Seashore is only reachable by ferry. For runners, that means lack of cars and quieter roads. We’ve mapped a nice loop around the southern part of the island, including the Lighthouse, Visitor Center, Preservation Society…and Slushy Stand! Note: A new passenger ferry will start in 2018, going right to the Village! You can design your own route or follow our own. Start in the village at the Coffee Shop, of where Beach Loop Rd. meets Highway 12. Run up Lighthouse Rd. and do a quick tour of the lighthouse. Take Creek Rd. to Silver Lake Dr., which runs by the water, Harbor Inn, and the Slushy Shop. Do a loop around the Visitor Center and the Preservation Society, and then along Back Rd., SHORT LOOP ends returns to the start, for 4.5 miles. LONG LOOP adds 1 mile, along Cutting Sage Rd. and the Marina. You can extend your run by doing a few of the other roads around the village and Harbor, or by running along Highway 12 ti the end of the island, about 13.5 miles. Highway 12 & Beach Circle Rd.